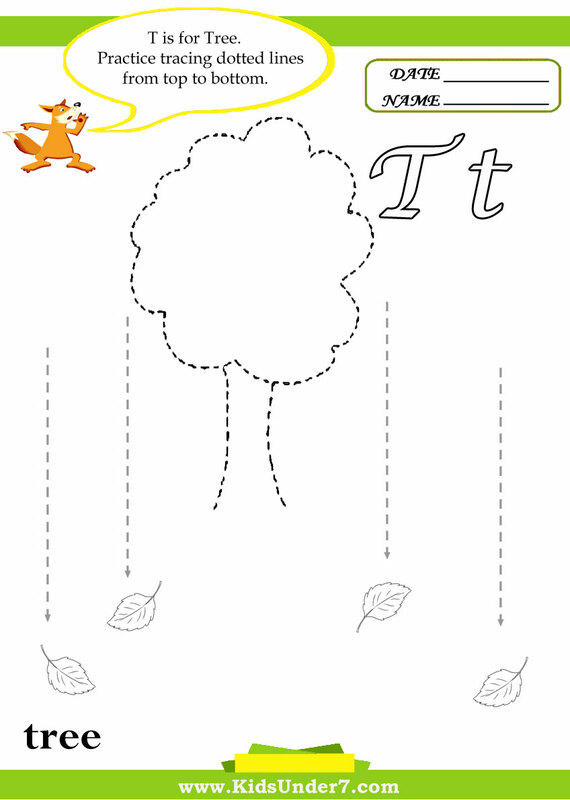 1.T is for TREE. Practice tracing dotted lines from top to bottom. 2. 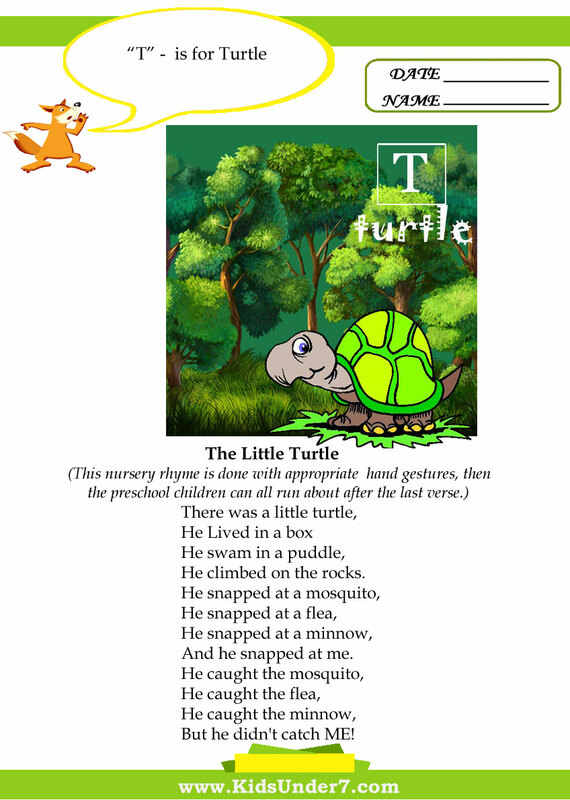 T is for Turtle. 3. 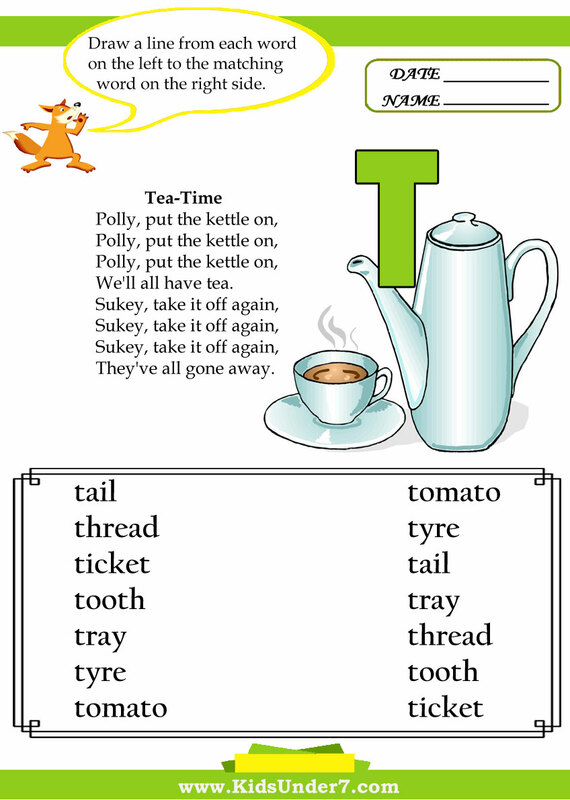 Tea-time Rhyme.Draw a line from each word on the left to the matching word on the right side. 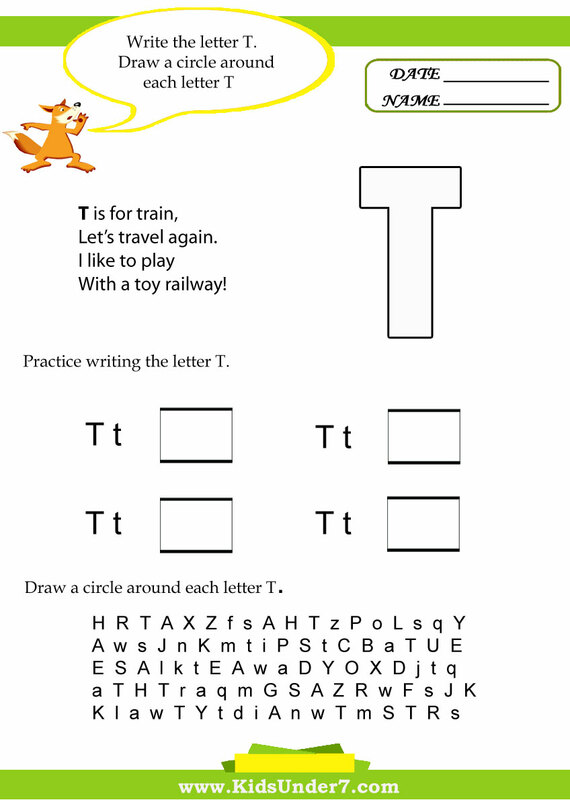 4.Find and circle two identical trains. 5.T is for Tables. 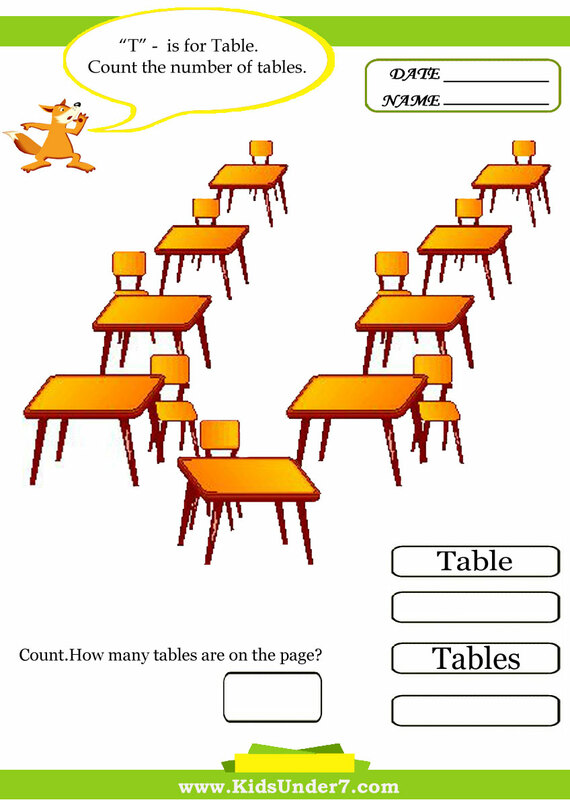 Count, how many tables are on the page? 6.Follow the lines with your pencil. 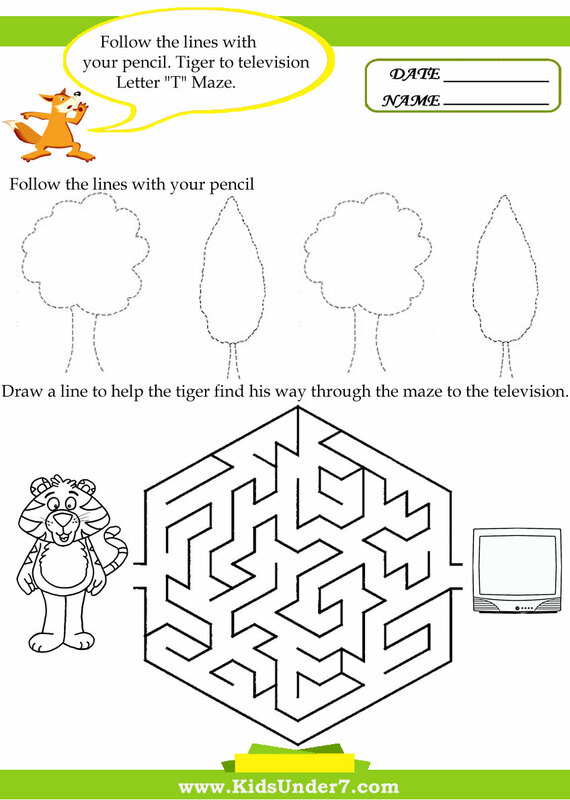 Help tiger find his way through the maze to the television. 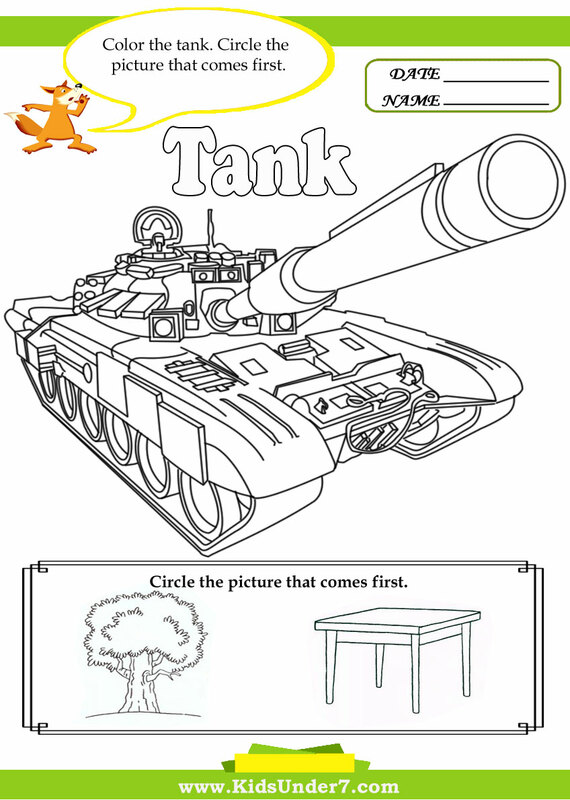 7.Color the tank. Circle the picture that comes first. 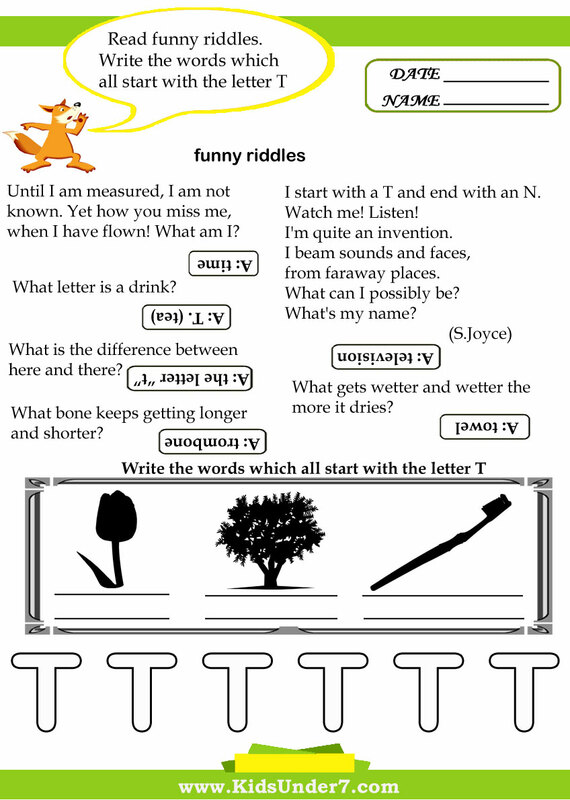 8.Read funny riddles.Write the words which all start with the letter T.
9.Write the letter T. Draw a circle around each letter T.
I start with a T and end with an N.
What can I possibly be? Until I am measured, I am not known. Yet how you miss me, when I have flown! What am I? I am mother and father, but never birth or nurse. I'm rarely still, but I never wander. What am I? I never was, am always to be, no one ever saw me, nor ever will, and yet I am the confidence of all to live and breathe on this terrestrial ball. What am I? T is for Tick and for Tock. He climbed on the rocks. The first one said, "It's getting late." The second one said, "Who goes there?" The third one said, "There are farmers everywhere." The fourth one said, "Let's run, run, run." 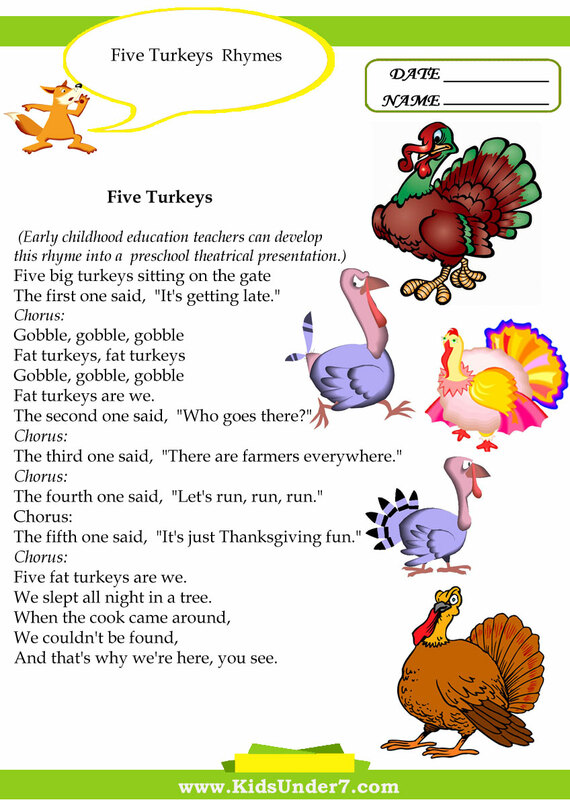 The fifth one said, "It's just Thanksgiving fun." Five fat turkeys are we. We slept all night in a tree. And that's why we're here, you see. Really enjoyed this post. Lovely way of explaining the worksheets!! !